Situated in a great location, this residence has a great investor and second home potential. 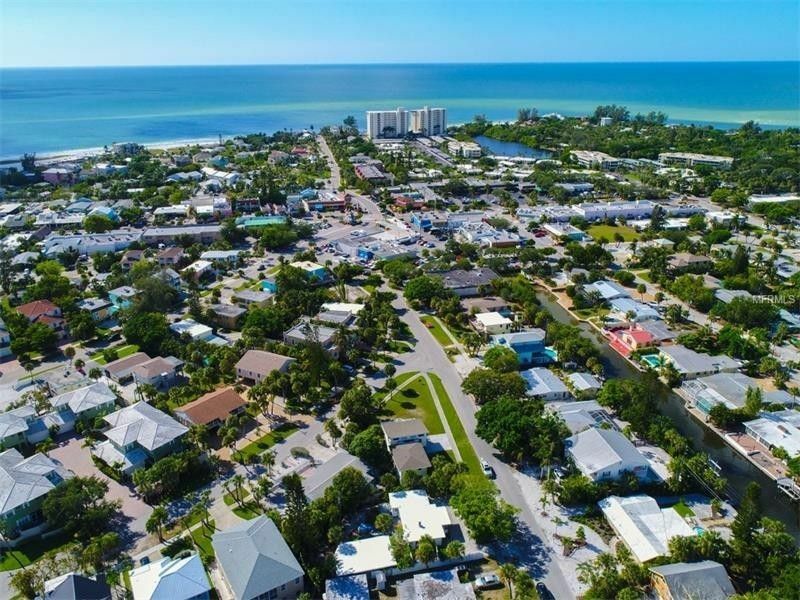 Don't miss this opportunity to own property on Siesta Key, just moments to the No. 1 beach in the U.S. and Siesta Key Village. This elevated home has been updated and well-maintained and is ready for a new owner who is looking for the island lifestyle while enjoying tasteful and comfortable living. Newer concrete hardy-board siding entirely replaced. With two entrances, this open floor plan allows a great place to relax and/or entertain family and friends. Features include a kitchen boasting stainless steel appliances, a freshly painted master en suite and second bedroom and newer exterior siding and paint. The roomy outside deck and patio are ready for fun barbecues and entertaining. Under building storage room are ready for creative and flexible extra space. Located on an oversized corner lot, this home invites you to come live the true Florida island lifestyle. Click on the virtual tour for more photos. Driving Directions: Take Beach Road, to north on Canal Rd, to right on Avenida de Mayo, follow to corner of Avenida de&#13;Cortez. House on the right.